From 14 to 20 May 2016 in the Serbian agrarian cradle, Novi Sad – Vojvodina, the 83rd international Agricultural Fair took place. 1,500 exhibitors from 60 countries presented novelties in the field of agricultural machinery, equipment and other innovations in agriculture. Compared with previous years, there was an above-average increase in participation of Chinese exhibitors. The most digital eager ones among the 125,000 fair participants that visited the Datalab Agro stand in the Master Hall were mainly interested in successful plant growth planning and monitoring (Crop Optimizer), satellite imagery of agricultural land (SatFeedz), entering and checking data in the course of work in the field (PANTHEON Farming Mobile application), wine cellar overview with all tasks at hand (PANTHEON Farming Wine Module) or automatic pest monitoring and spray optimization for large orchards and vineyards. “Especially fruits and wine are seen as products that have the greatest potential to boost the competitiveness of Vojvodina,” explained Mr. Radica Jovanov, president of the Cooperative Union of Vojvodina (CUV). 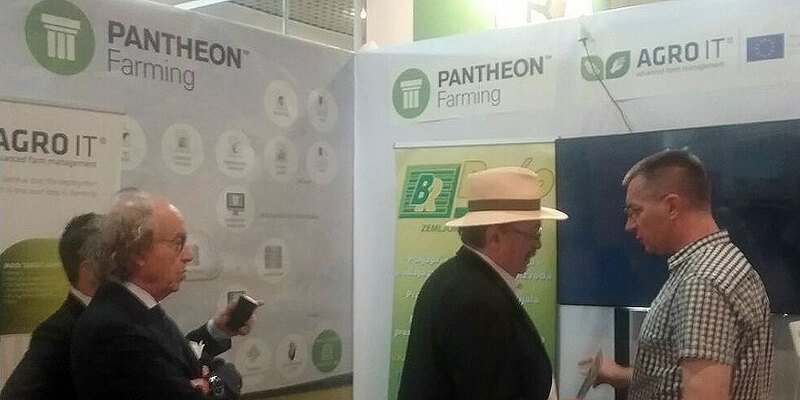 The CUV, an independent, interest and expert business organization founded by agricultural cooperatives in Vojvodina, was Datalab Agro’s host at the fair. They made sure to organize plenty of interesting meetings: from investors, important people from the Serbian agricultural sector, Italian winemakers (Italy was the official partner country of the fair) to individual farmers from Vojvodina. 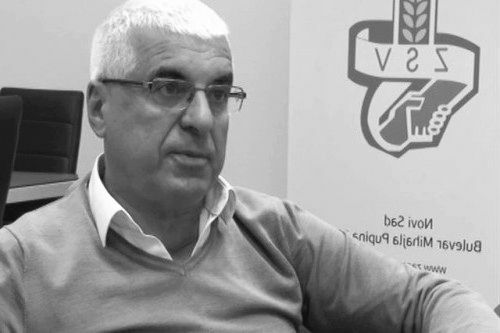 What is the role of the Cooperative Union of Vojvodina? It is the largest non-governmental organization in Vojvodina. There are 406 active cooperatives under our patronage with an average of 20 employees, and about 150 subcontractors. Together they cultivate a total of 87% of Vojvodina’s soil. Our mission is to provide legal, economic, logistic and agrarian support, but above all the main task is to ensure and motivate cooperatives to work together. Without cooperation, we can not be competitive. What are the benefits that you bring to cooperatives? We bring the benefits of economy of scale, primarily in intermediate goods, fertilizers and fuel. Recently, we signed a partnership with Lukoil, which provides all our members with cheaper fuel. The biggest challenge is preparing the agriculture of Vojvodina to be competitive. As I have already said, nothing can happen without cooperation. Additionally, there are two necessary changes we have to make: farmers’ habits and the structure of production, since the latter does not follow Vojvodina’s natural potential enough, which is ideal, for example, for apples and cherries, not to mention wine. In particular, changing thinking patterns and habits is the hardest nut to crack. In doing so, help farmers with better information, we enable them a route to information, educate them, because the level of education on average is low. If we talk about preparedness for digitization, the situation is not great at the moment, but we see a great potential.